This is sign reminds me of ONE of my all-time favorite jokes, and I only know like five people who appreciate it. Hats off to my pal Rick for finding and sending me this picture. 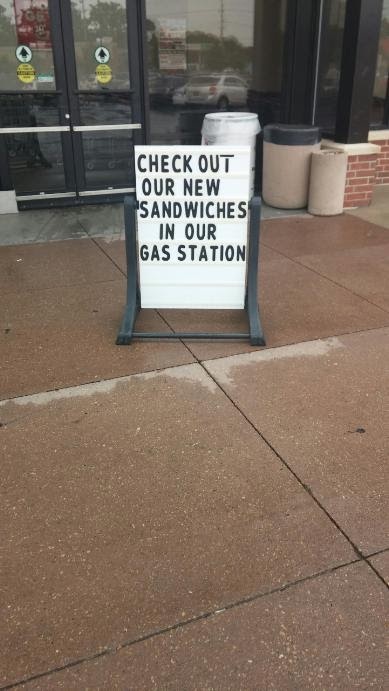 Sadly I'm going to bet the actual sign had nothing to do with the joke. The joke comes from the movie "National Lampoon's Vacation." You can watch the scene below. It's so mundane and stupid, but it is one of those things that always makes me laugh.